Designed for Urban Solutions Architects and Townplanners. 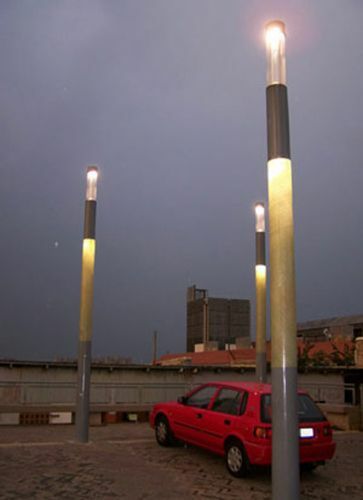 The poles are made of wound fibre-glass with a band of clear gelcoat. Light from a luminaire inside the pole is emitted through the clear band at pedestrian eye-level.